Ocean View on the Via Bluffs, just blocks from the New Caruso Village. Five bedroom suites plus a separate powder room in this two story, six year old traditional. Taking advantage of the VIEW, the family room /kitchen is truly a "great room" with a cozy fireplace, circular dining area and adjacent heated entertaining deck. The kitchen itself has a wonderful central island, tons of beautiful cabinetry, marble countertops, and top of the line appliances. Formal separate dining room and living room with another fireplace make entertaining a breeze. Right off the front door, there's a cozy circular den, home office or play room. Charming details include crown moldings, built-in under stairs work station, and so much more. The backyard has two levels, a flat play lawn, and a terraced orchard with more than a dozen fruit trees, all facing the sea. 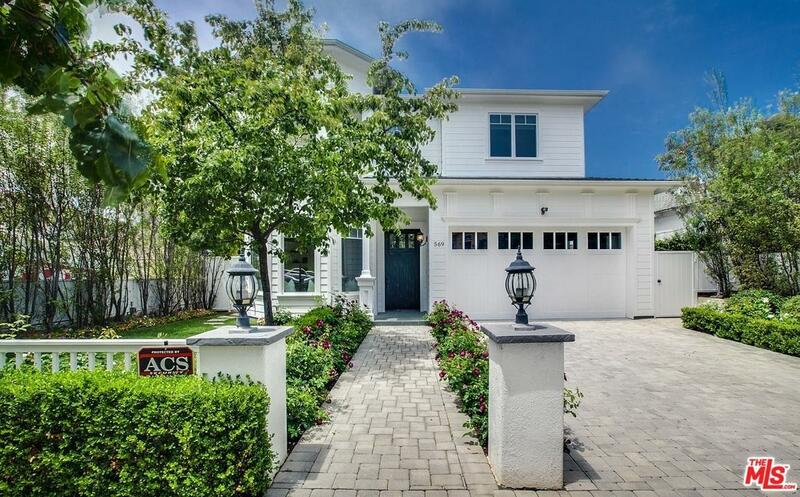 Sold by Brad H. Pieper BRE#00413825 of Douglas Elliman Of California, Inc.. Listing provided courtesy of Fran Flanagan DRE#00413825 of Coldwell Banker Residential Brokerage.